Invaluable teaming up with Waddington’s, a fine wine auction house in Canada, over the next week to auction off almost 700 exceptional lots from an international collection. Waddington’s experience in auctioning dates back to 1841. 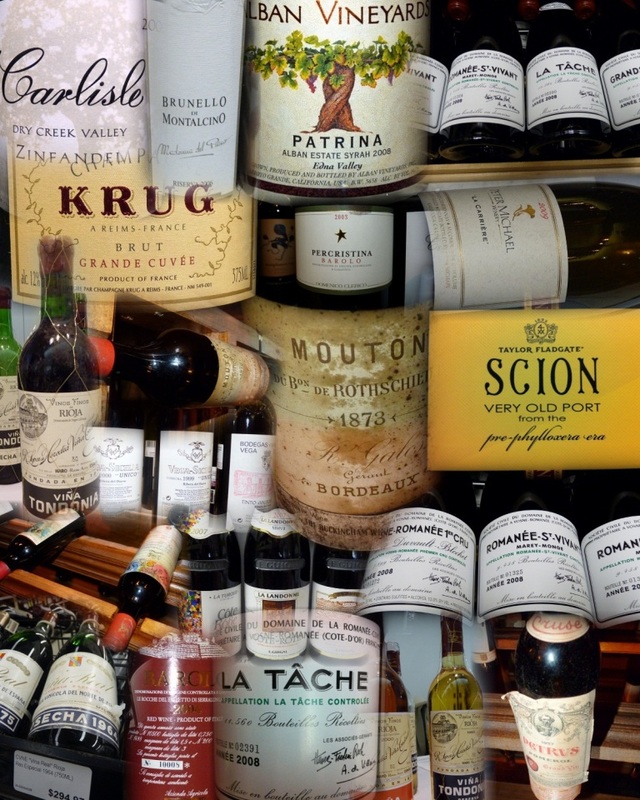 There are three different auctions in the upcoming week: Fine & Rare Wine, Fine Spirits, and Fine wine. These three auctions by Waddington’s take place on February 25 and the 28th. We’ll be auctioning off nearly 700 wine and rare wines and spirits. Saturday’s auction begins at Toronto’s Nota Bene Restaurant where Chef David Lee will prepare an exquisite three-course lunch before we launch into the auction. This auction is followed by two auctions on the 28th; the first offers fine spirits and the second offers fine wines. Notes: This 100% Merlot has a dense plum/purple color and a sweet nose of mulberries, black cherries, some subtle toast and licorice as well as a floral element. A wine of great intensity, a multidimensional mouthfeel and full-bodied, stunning concentration, the 2009 Petrus is everything one would expect of it. Notes: The blend of 88% Cabernet Sauvignon, 10% Merlot, and 2% Cabernet Franc was bottled in 1999. It boasts an opaque purple color along with a gorgeously pure nose of creme de cassis, charcoal, and floral characteristics. The wine is opulent, dense, and rich, with exceptional purity, a viscous texture, and impressive underlying tannin that frames its large but elegant personality. We have a variety of wine and spirits along with collectibles up for auction daily, so stay up to date with Invaluable; you never know what you’ll find. Think about your best restaurant experiences – what do they consist of? Of course the company is first and foremost – if you are in the wrong company, nothing will taste or appear right – this is given. So outside of the company, food, wine, service, views, decor, ambiance – all play a role, these are all essential factors of your great restaurant experience. As I mentioned many times before, when traveling, I always look for the opportunity to experience new restaurants. My last trip to Atlanta, Georgia was not an exception by all means – of course I looked for a good restaurant to visit. I used Yelp as my reference source, and it worked quite well. Canoe restaurant, located in the Vinings neighborhood, was well worth the 4.5 stars yelp rating out of 626 reviews (this was the number of reviews at the time of our restaurant visit). I read in some of the reviews that the Canoe Restaurant had a perfectly romantic appeal. It definitely had, especially considering how dark it was in the dining room (hooray to all the FlashLight apps on the smartphones, we would be left hungry without them). But on a more serious note, the restaurant is situated right by the river, with luscious greens and smart lighting making an outside look like it was a Thomas Kinkade’a painting. My photos will not do any justice to that outside setting, but I hope they will give you an idea of beauty and tranquility. Going back to our dinner, while everybody were looking at the menus, I grabbed the wine list (what a surprise, right?). 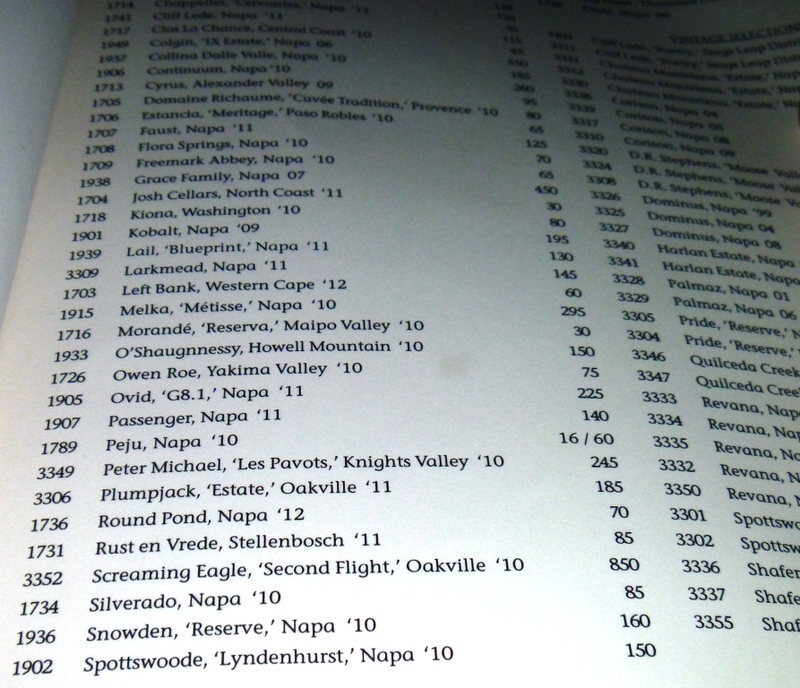 That wine list…. How can I describe it… It was probably the best wine list I ever held in my hands – there was an incredible amount of the excellent wines (that it not necessarily unique), priced in a very (did I say “very”?) appealing way. Moreover, one line in that list almost made me speechless – the rare bird was there, and it looked almost, almost – for the group of like-minded friends – affordable. Take a look below – can you spot the rare bird I’m talking about? I’m assuming you found it – yes, it is the Screaming Eagle. Of course $850 is an exorbitant amount of money for the bottle of wine, but considering that this wine is simply impossible to find at any price, it might not sound that bad – I have a few friends who would simply jump at such an opportunity. But I was not with those friends, so as you can imagine, I was left salivating about such a close encounter with this rare bird. Have you ever got excited of seeing something, took a picture, and only later on, looking at the picture, noticed that there was a more to see in the object of your “excitement-driven” photograph? This was precisely my case. Only looking at. The picture I realized that the Screaming Eagle bottle was actually a second label of this cult wine, called Second Flight (it doesn’t make a difference from point of view of the opportunity of trying this rare wine). Then also noticed lots of other cult wines being present in that list, such as Harlan and many others, many at a extremely reasonable price (for example, Peter Michael Le Pavots retails for $175 – $225 on the wine list is a steal). Anyway, I think I have a great incentive to go back to Atlanta, and drag a couple of friends along. Enough about the wines we didn’t drink, let’s talk about the wines we had. For the white, we got the 2012 Sigalas Assyrtiko-Athiri, Santorini, Greece – touch of minerality on the nose, white stone fruit, refreshing palate with crisp acidity and more of the white stone fruit undertones. Our choice of red was 2011 Chehalem Three Vineyards Pinot Noir from Oregon – nice smokey nose, good fresh red fruit on the palate, some raspberries and sweet cherries, good acidity and good overall balance. It was nice and easygoing wine to drink, and it complemented well most of the group’s dinner selections. Now, let’s talk about the food. Our waiter (we had a great service, by the way) explained that the restaurant’s specialties are the game and seafood. Somehow, I felt like embracing seafood (we only scored 9 pm reservation, so it was rather a late dinner), and I didn’t regret that at all. For the started, I had an Grilled Australian Octopus (Chorizo, Peppers, Horseradish Tomato Broth) – the octopus was perfectly cooked and it was chewy just enough to preserve the texture, and very tasty overall. For the entree, I went with Bacon Wrapped George’s Bank Monkfish (Asparagus, Brioche, Grape Tomato Vinaigrette), which was absolutely delicious – perfectly cooked, the flaky fish was melting in the mouth, and the vegetables were nicely fitting in. And then it was the time for a dessert. Our waiter, who brought the dessert menu, mentioned that restaurant’s pastry chef was a genius, so after such an endorsement I had to change my mind (I wanted to skip the dessert altogether). With the dishes such as Caramelized Goat’s Cheese Cake (Bourbon Cherries, Balsamic) or Rhubarb Crisp (Strawberry Ice Cream, Oatmeal Crunch), it was almost impossible to decide on something. I ended up taking Popcorn Ice Cream Sundae (Canoe’s Cracker Jack), which was absolutely delicious and very unusual. 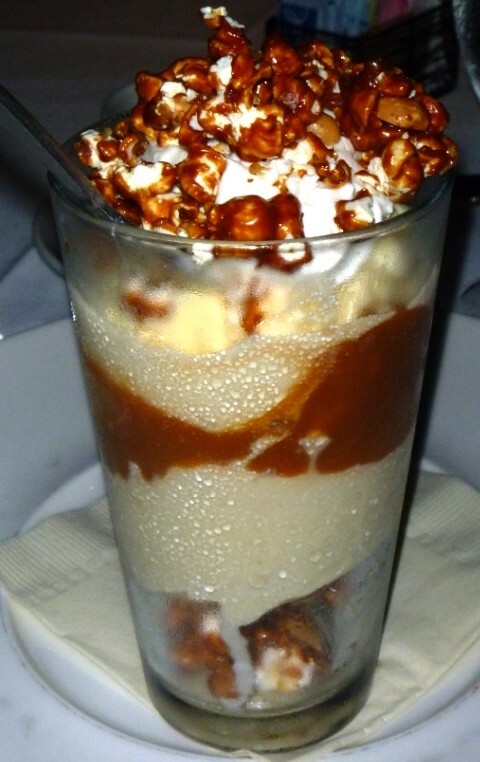 Freshly made vanilla ice cream with chocolate covered popcorn and caramel sauce – this might be one of the possible spellings for “nirvana”. To conclude my report of the wonderful dining experience, I can only say that this was an excellent and very memorable meal, and if your travel plans will take you to Atlanta, I highly recommend you will find the time to visit the Canoe Restaurant – and you can thank me later. Cheers! Let’s start with the answer to the wine quiz #68, grape trivia – Chenin Blanc. In the quiz, you were supposed to answer 5 questions about Chenin Blanc grape. A1: True. 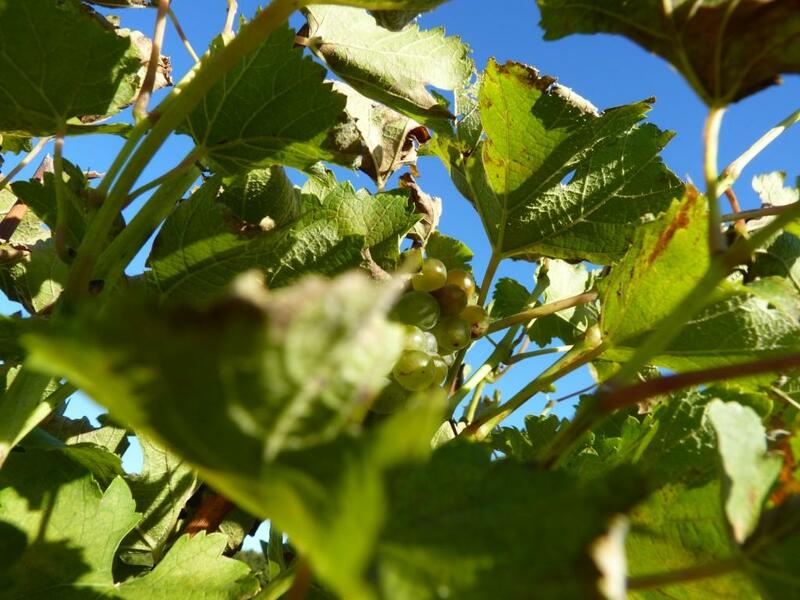 Chenin Blanc plantings in South Africa take a bit less than 25% of all grape plantings in the country, and it exceeds plantings in France by at least two times. Q2: Do you know how Chenin Blanc is typically called in South Africa? A2: Steen. Chenin Blanc is South Africa was traditionally called Steen, but as many wineries are improving quality of their Chenin Blanc wines, they also use the traditional “Chenin Blanc” name on the labels more and more. Q4: Wine Spectator calls wines rated in 95-100 range Classic (the highest and the most prestigious category). True or False: there are no Chenin Blanc wines with Classic rating. A4: False. While there are only 14 Classic Chenin Blanc wines to the date (all from Vouvray region in France), Domaine Huët Vouvray Cuvée Constance 1997 scored even perfect 100 points. 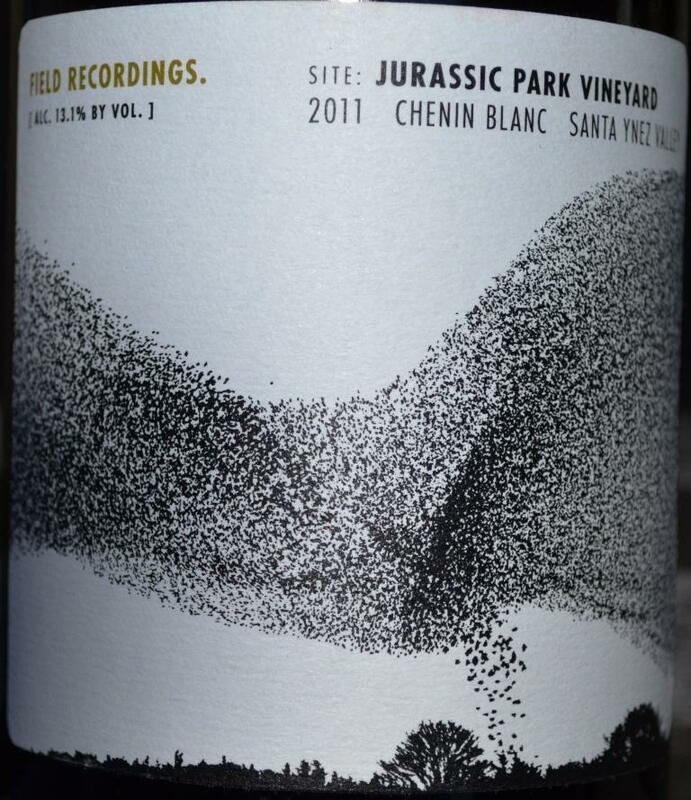 Q5: One of my all time favorite Chenin Blanc wines is made by the company called Field Recordings in California. It is a single-vineyard wine, coming from the vineyard which has the same name as one of the blockbuster movies of the 90s. Do you know how this vineyard is called? A5: Jurassic Park! I’m really curious what would give such a name to the vineyard, but hey, this is how it is called. And Jurassic Park Chenin Blanc I had was spectacular. I’m glad to report that we have lots of winners this time! Emil, SheWinesSometimes, VinoinLove and TheDrunkenCyclist answered all 5 questions correctly, and they get the coveted prize of unlimited bragging rights! Now, to the interesting stuff around vine and web! I have a few interesting things for you to read. First, an article by New York Times‘ Eric Asimov, talking about new life of Mayacamas Vineyards in Napa. Mayacamas is one of the historical vineyards in the region, originally built in 1889, and owned by Bob Travers and his wife since 1968. I experienced Mayacamas Cabernet Sauvignon only once, and it was a spectacular wine, done in very restrained and elegant style. Now the winery is acquired by Charles Banks, who owned Screaming Eagle in the past, and he brought in Andy Erickson, a past Screaming Eagle’s winemaker, to make wine at the Mayacamas. How Mayacamas will change is a big question for all of its fans, so you should read the article to learn more. Here is an interesting read for you from W. Blake Gray, on the subject of [yeah, here we go again] wine tasting notes. Before you read the article, test yourself – do you know what gunflint is? You do? Great, do you know how does it taste like? My personal answer is “no” for both questions, but you go read the article to learn something new and get entertained. The last article for today on the subject of Georgian wines, talking about new and interesting wines coming from the “cradle of winemaking”, as Georgia often is referred to. Go find the bottle of Georgian wine to enjoy while you will be reading the article. 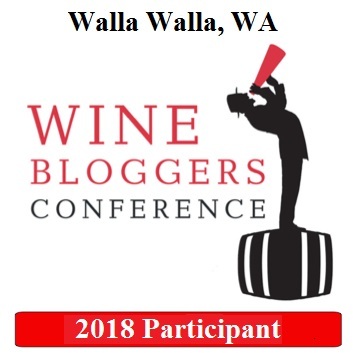 August 14th – Wine Blogging Wednesday event, #WBW80 – Dry Rosé. All you need to do is to write a blog post pertinent to the subject, and submit it to the host. For all the details please click here. Let’s make it a success! 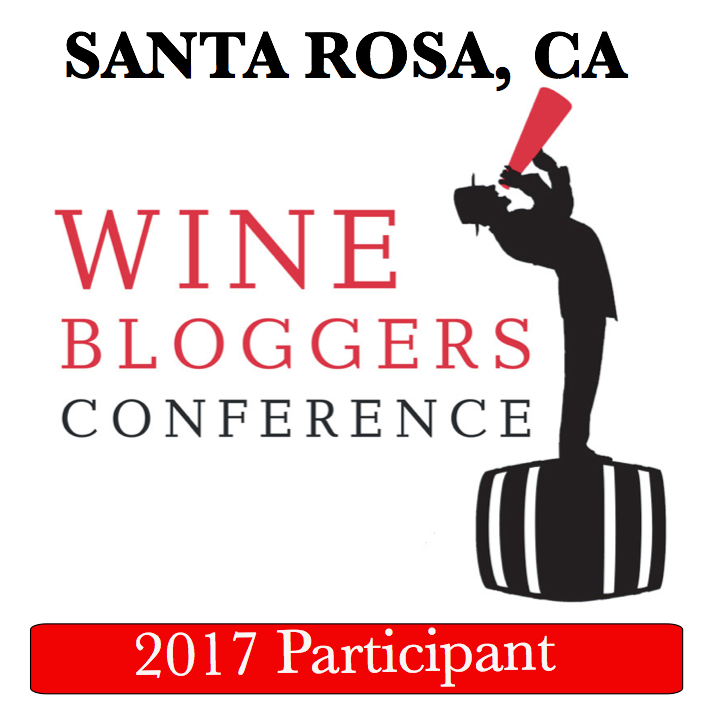 August 16th – deadline for submission for the Monthly Wine Writing Challenge #2, with the theme called Trouble. You can find all the rules here. I finally made my submission, so I sleep much better now. There is still time, get your trouble under control and write! Side note – if you are using twitter, I recommend using #MWWC hash tag for all submissions and discussions. August 29th – Annual Cabernet Day 2013. Grab the bottle of your favorite Cab and join the festivities – here is the link to the invitation I received for this Cabernet Day, in case you want to state your participation officially. That is all I have for you, folks. The glass is empty -but the refill is coming. Until the next time – cheers! After publishing the first post about Must Try Wines, I had an extended dialog with @PeterZachar on Twitter, where Peter provided good suggestions as to more ”must try wines” to be added to the list. Then I thought about whole rationale of ”must try”, ”must do”, ”must see”, ”must experience”, and I believe it makes sense to talk about it first. When it comes to ”must experience” in the wine world, I believe there are few deciding factors to get a given wine into that category. First one probably is a price. 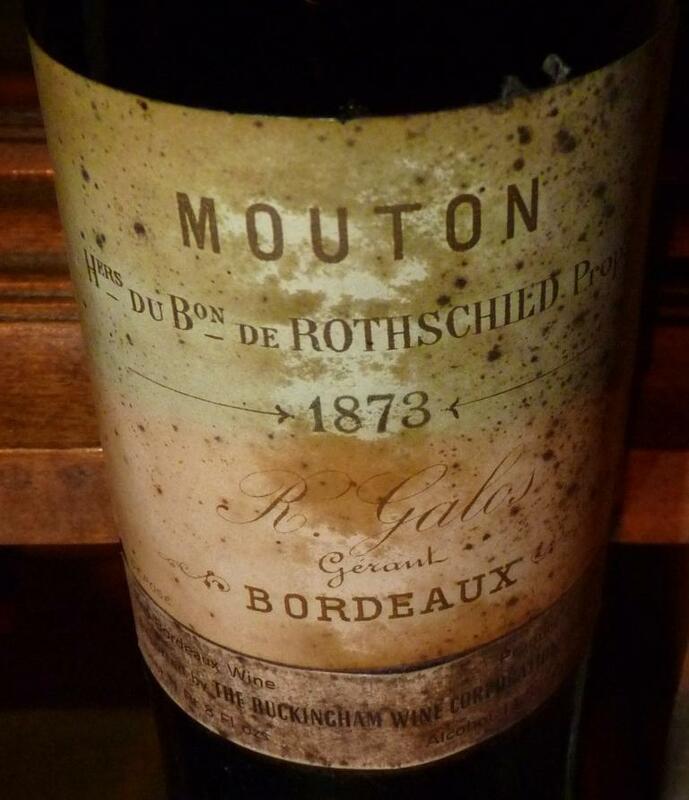 In the end of the day, this is how first known ”must try” classification came about – famous Bordeaux 1855 classification was made out solely on the price of the wines sold by various Chateaux. Of course price is just a consequence, an artificial showing of other, more fundamental factors, such as quality, reputation, demand and availability – but it is easy for us, humans to comprehend numbers, so the price serves as an aggregate measure instead of quantifying all other fundamentals independently. Looking at Chateau Petrus, Screaming Eagle or Seppeltsfield Port, each one faring at about $2500+ a bottle, it is easy to say ”if ever possible, I really really want to try it”. Next factor is a reputation of the wine. Reputation in general is hard to assess, right? Well, when it comes to the wine world, one side of reputation also happened to be quantified for us – in the form of the infamous wine ratings. All over the wine blogosphere you can find beating and bantering of the various point rating systems – however, whether good or bad, consumers like to have some simple numerical indication of one ”thing” being better than another ”thing”. No, I’m not planning to divert into the 100-points scale discussion – what I’m alluding to is the fact that it is very easy to include wines rated 100 points into the ”must experience” category. Probably 98 to a 100 points will do just fine, as I can bet I would never be able to tell the difference between 98 and 99 rated wines, so 98 to a 100 is a good range. Should all 100 points rated wines be included into ”must try” list? I don’t think so, simply because you have to draw a line somewhere. Another side of reputation shows up in the form of someone’s opinion – not a single person, but rather as a collective opinion. If the wine receives multiple [substantial] praises from multiple people, it is probably worth considering for the ”must try” subject – however, all these praises will most likely become reflected in the price, and almost certainly will affect one more ”must have” deciding factor – availability. What do we usually want the most? That’s right – something we cannot have. In the industrial world, if we run out of something, we can make more of it. It doesn’t work the same way in the wine world. Deeply engrained in the concept of terroir, the most sought after wines are produced from the very specific vineyards – yes, you can plant more vineyards, but they will not bear the same fruit and you will not be able to produce the same wine. Therefore, you can’t address the increased demand by just making more – and your wine becomes less available (and its reputation most likely is increasing). The next step is for the wine to be sold only through the mailing lists thus injecting some sanity into that supply and demand equation. And in many cases price of wine goes up, completing the full connection between our three key ”must have” factors – price, reputation and availability. I hope I gave you enough insight into my logic. To come up with the additions to the original ”must try” list, I did two things. First of all, I used the exact recommendations from Peter. Second approach was based on using the Wine Spectator online and searching for the wines with 98 to 100 ratings in particular regions and countries – then looking at the prices and styles to decide if I would be interested in experiencing that wine. The result can be found in the updated table which is available as a standalone page on this site (please click this link). Few more comments, if I may. For most of the wines from France, actual vintage is not essential – all these wines show remarkable consistency in good years and in bad years. Also for Bordeaux, Burgundy and Sauternes the actual ”must try” wine is a flagship which usually goes under the same as the winery itself. Same is true for California ”cults” outside of Rhone Rangers. For all other wines, the exact wine is listed. Also for Port, Madeira and Spanish wines the exact vintage is listed and important. I just want to repeat the same disclaimer as last time – this list is a personal reflection – feel free to criticize it or make it yours and change it. I’m sure there are plenty worthwhile wines which can be added to this list – this is why I’m sharing it with you. Yes, you are welcome. Let’s raise the glass for the best experiences of our lives! Cheers! What do you think I plan to talk about? No, we are not going to talk about “best in the world wines” – we did it before, and that discussion is closed for now. In general, does it make sense to dream about some particular wine? There is such an abundance in each and every wine store, what’s that dreaming is all about? Well, first, it is a special time of the year – Holidays, Friends, New Year resolutions, new hopes and new desires – so a little dreaming is appropriate, right? Second, reality is often made out of things which were dreams before. Wine is as good of a material for the dreams as any other object – once you have an opportunity to taste, to experience the wine which YOU will deem “amazing”, it will give you a happy memory you can always come back to. And that is the great quality of the great experiences – they serve as an object of desire, and once achieved, they become a staple for the happy state of mind. How one can come up with the list of “dream” wines? There are multiple ways to go about it, but for now, let’s just use wine ratings as a reference. More specifically, let’s use wine ratings from the major wine publications – Wine Spectator and Wine Advocate. Both use 100 points rating systems, with 100 being an absolute top rating (many other wine publications use the same 100-points scale). And if we are dreaming, let’s aim high – let only look at 100 point wines. If you are interested in prices, you should check them out on the Benchmark Wine Group web site. Just to give you a range, the cheapest wine in this list is Rieussec at $154 and the most expensive is Domaine Romanee-Conti at $4200.